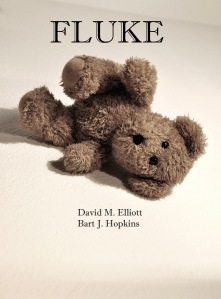 Fluke is a story about a man named Adam Fluke. He’s just an average pizza delivery man in his 20’s. He falls in love with a woman named Sara. It is a fun loving romantic story…. Until everything goes wrong. Adam and Sara must travel back to Sara’s hometown to revisit her past and sort find the truth surrounding issues that were haunting them both. When the conclusion is what they were hoping it wouldn’t be, their relationship is in danger. I feel like this novel was very well written. It started off as a fun, easy-going read. But, as you get further into it, it becomes more tense and issues start arising. I feel like the authors did a wonderful job with character development – something that isn’t always very easy to do. They touch on some very rough topics that unfortunately many people have experienced throughout their lives, and they handled the writing of it very well. I really enjoyed this book; to the point where I would probably read it a second time. The characters were all great, the story was very well written, and I really enjoyed the comedy side of it mixed in with the rough topics. It was an easy read, and well worth it. I was so upset when Adam and Sara broke up. I understand why it happened, but I was hoping they would be able to move past it. Once it was confirmed that the man that molested Sara was Adam’s dad, I was also extremely upset. I had a feeling the relationship would come to an end. But, I thought Sara would be the one to end it. I want to know how Sara died! I guess they leave this out for you to form your own thoughts on how it happened. But, I want to know! Courtney - Thanks for a lovely review! !